In disease-oriented disciplines such as medicine and dentistry, the idea of treatment planning and eventual treatment is based on the identification of disease; based on the information/data gathered, the disease that is identified and treatment options and approaches considered. n the craniofacial aberrations called orthodontic malocclusions, one is not really describing a disease; Most malocclusion are the result of skeletal and dental variations that become extreme enough to disturb the patient’s esthetic or functional balance. In these circumstances orthodontic treatment is warranted. Properly sequencing an orthodontic treatment is crucial if one desires a successful outcome. Diagnosis is the key! Without a complete understanding of how cranio-mandibular complex develops and the surrounding neuromuscular system functions and operates will result in a need to rely on mechanical retention methods to hold together aspects of treatment that were not thoroughly understood and or acknowledged by the dentist. 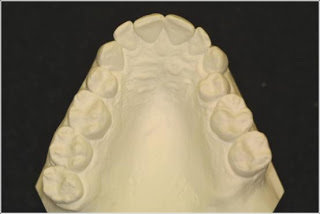 Historically, there has been a tendency for orthodontist to treat to means and standards, but one must ask where does one position the bite physiologically? Why is there a Class II retrusive jaw – retrognathic? Why is there a Class III protruding jaw – prognathic? Why does my child or patient present with a right side Class II and the left side Class III relationship? Why is there a deep overbite? What produces the crowding or spacing? Perhaps the positioning of the patient’s maxilla or mandible is too far forward or too far backward …. ? These are questions that are not always adequately addressed within the common orthodontic teachings.